Herniating a disc didn't ruin my life. It did ruin my sleep. Disc pain makes lying down, standing, or sitting for prolonged periods of time very painful. Dealing with a herniated disc takes patience. Those of us with disc pain need to be well rested to get through it. Finding the best mattress for a herniated disc is important for that recovery process and for pain management. **We'll provide our thoughts on these mattresses below, but feel free to click the links above to read customer reviews and check see up-to-date prices on Amazon. There are a number of different sleeping positions that help alleviate disc pain and the associated nerve pain that comes with it. If you herniated a paracentral disc then lying on your stomach might be more comfortable. Foraminal disc herniations tend to make the fetal position the best bet. A herniation in the neck requires supportive pillows along with the appropriate mattress. Doctors recommend firmer mattresses because they offer more support for the spine. The trick is finding a mattress that is not too firm, as a hard mattress triggers pressure points. These pressure points are already irritated, especially if the sciatic nerve is involved. The last thing you need is more pain. There is no right answer when it comes to the best mattress for herniated discs. Since the location of the disc and the symptoms vary from person to person, the only way to discover if a mattress is comfortable is to try it. Hauling yourself to the mattress store is the last thing you want to do with a herniated disc, but it is worth the visit. Try as many beds as you can comfortably manage. Experiment with innerspring mattresses, memory foam, latex, and gel memory foam mattresses to see which feels the best for your back. Give each mattress that feels comfortable at least 15 minutes. Memory foam mattresses can be a good fit for disc injuries. The foam, which was originally created by NASA, offers support for your spine and relieves pressure points. This is especially relevant for those who sleep on their side, as a too firm mattress triggers pressure points in the hips and shoulders. The foam conforms to your body as you sleep while still supporting you. This means that while the heavier parts of your body like your hips and shoulders sink into the mattress, the foam still supports your lower back. 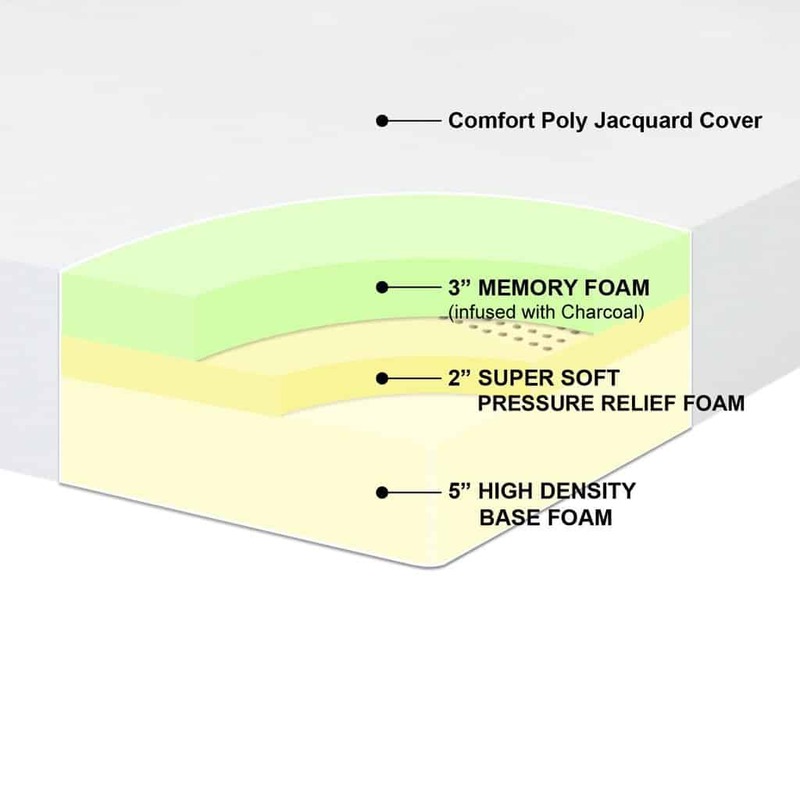 Memory foam comes in different thicknesses and densities. A 3-pound density is less firm than a 5-pound density. A 4-pound density mattress offers a compromise that is both soft and firm. Look for open cell memory foam as this technology does not heat up the way regular memory foam does. Regular memory foam tends to retain your body heat. This is pleasant in colder climates and for people who like to sleep warm, but uncomfortable for those who prefer a cooler sleeping surface. Gel memory foam mattresses offer the same benefits as regular memory foam without the heating effect. The gel, which comes in the form of liquid gel or gel beads, is embedded in the foam to provide a cooling effect. Gel memory foam cools the sleeping surface by 5 degrees. It also offers support for your spine, and like memory foam, isolates motion so that your partner's tossing and turning does not keep you up at night. There are two things to keep in mind when you order gel or memory foam beds: initial odor and break in time. Memory and gel memory foam both have a distinct odor when you first take them out of the package. The odor takes a few days to dissipate. Higher density foam takes longer to break in to your body, especially for lighter people. Heavier people tend to benefit more from memory foam's support. Innerspring mattresses are still the most popular mattresses sold in stores. Purchasing a brand new memory foam mattress is a difficult decision. There is no guarantee the memory foam will solve your sleeping issues. If you already have a relatively new innerspring mattress, then purchasing a replacement mattress is daunting. If your mattress is old and broken down, it is time to buy a new one, especially with a disc problem. High-quality innerspring mattresses offer decent support for sleepers with herniated discs. Combining your inner spring mattress with a mattress topper combines the best of both worlds, offering the support of an innerspring mattress with the comfort of memory or gel foam's pressure point relief system. Mattress toppers are a good place to start if you don't want to invest in a whole new mattress. They also allow you to get a feel for the material before replacing your mattress. 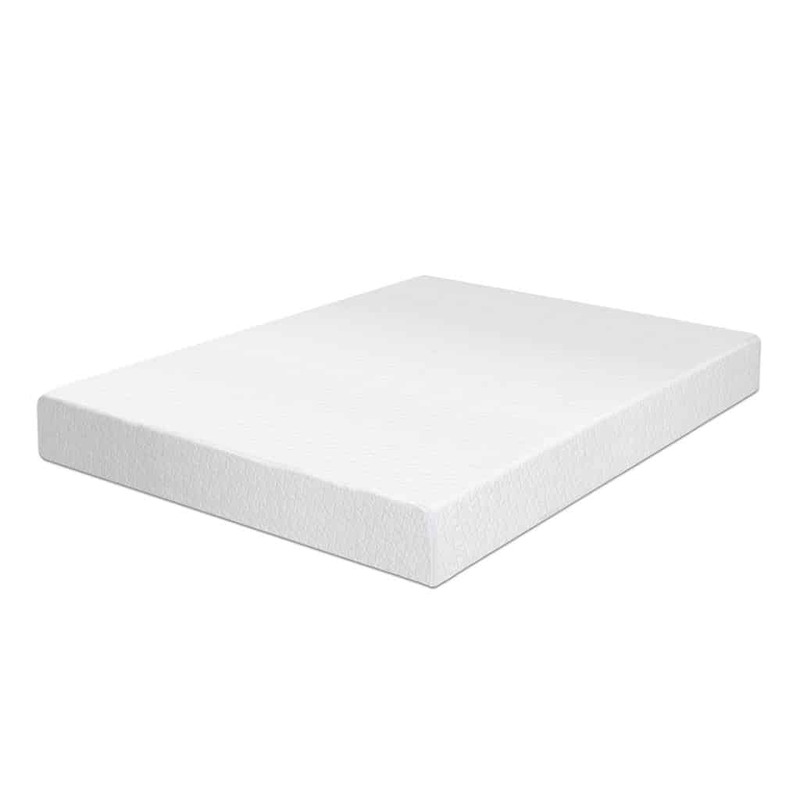 If you are worried about memory foam heating up as you sleep, try a memory foam topper. Latex mattresses are very pricey. Make sure it is worth it by trying a topper. If your existing mattress is very firm, adding a topper gives it a little more cushion to alleviate pressure points. Best Price Mattress carries an affordable memory foam mattress. The density of the foam is 4 pounds, a nice balance between soft and firm and probably the best density for back pain sufferers. This mattress is available in twin, twin extra-long, full, queen, and king sizes. It is CertiPUR-US certified and comes with a 10-year warranty. The mattress is made of regular memory foam, not open cell. This means that sleepers who prefer a cool sleeping surface could find the mattress warmer than a gel foam or open cell. Still, this mattress could be one of the best mattresses for herniated disc patients if you like the way memory foam feels on your back. Dynasty Mattress carries a 12-inch gel memory foam mattress that comes with a 120 day trial period and a 30-year limited warranty. The trial period allows you to see for yourself if the mattress is supportive enough to handle your disc pain, and it also comes with two free gel pillows. Pillows are good for adjusting sleep positions to minimize disc pain and improve spinal alignment. The high-density foam offers a medium-firm mattress to support your back while the gel infused mattress keeps you cool. The pressure point relief alleviates additional pain, which is the last thing anyone with a herniated disc needs. It comes with a washable zippered cover, and the mattress itself is CertiPUR-US certified. 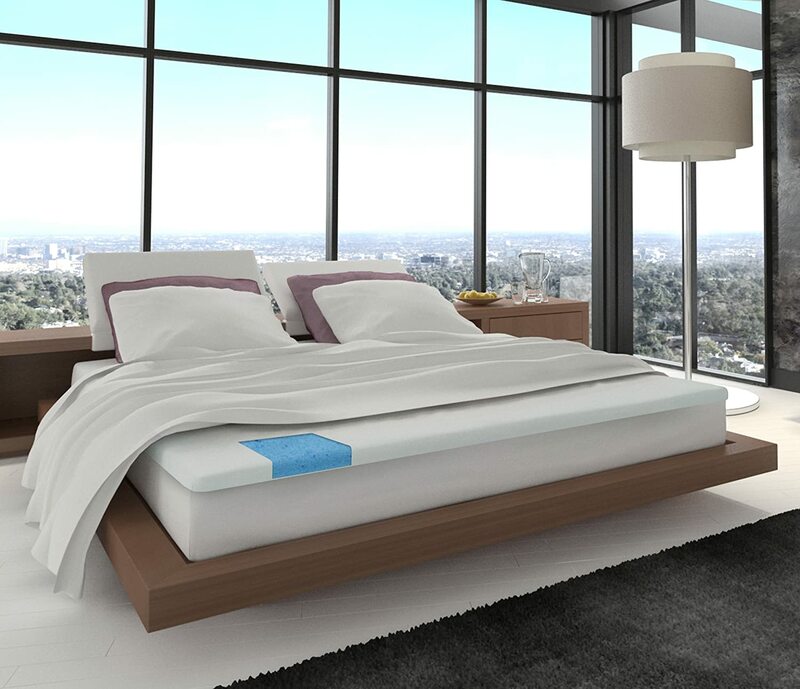 Sleep Master makes a pillow top mattress with pocketed springs that might be the best mattress for herniated disc patients who prefer innerspring mattresses. The hundreds of individual springs are wrapped in foam to provide increased motion separation and to prevent you from feeling the springs. The pillow top is made from quilted fiber and a 1-inch layer of foam. The mattress is shipped compressed in a surprisingly small box that weighs only 40 pounds. However, if you have a recently herniated disc, make sure you have someone help you install your mattress. Lifting 40 pounds puts your back at risk for further injury. Consider combining your pillow top mattress with a memory foam or gel foam mattress topper to eliminate pressure points and improve your overall comfort. Mattress toppers combine the best of both worlds. They add support and comfort to an existing mattress at a reduced price. If your doctor advised you to get a firm mattress and you prefer softer mattresses, a gel foam mattress topper like this one carried by Milliard could be the best mattress solution for herniated disc patients. The gel foam technology keeps your mattress cool while also alleviating pressure points. The density of the foam is 3 pounds, which is nice and soft. This makes it a good possible solution for a firm mattress or even a memory foam mattress that gets too warm for your comfort. The foam is hypoallergenic and resistant to dust mites. It comes with a removable bamboo cover. After you have found the best mattress for herniated disc pain relief, consider purchasing a memory foam pillow to help position yourself comfortably. Placing a pillow between your knees, under your stomach, or under your neck can help alleviate disc pain. Coop Home Goods carries a pillow made of shredded memory foam with a bamboo cover that is machine washable. This is a good quality in a positional pillow, as we all know that a little night sweat accumulates quickly. The nice thing about this pillow is that it comes with a 5-year warranty that guarantees the pillow will not flatten and a 30-day return policy to ensure customer satisfaction. Like other memory foam products, the pillow is hypoallergenic and resistant to dust mites.